I see Liferay as being the cornerstone for our digital ecosystem. Director, Enterprise Portal at Coach, Inc.
Coach, Inc. is a multinational luxury fashion brand founded in 1941 and well known for its accessories. Coach has continued to expand its brand in the realm of modern luxury throughout its more than 1,000 stores worldwide. With its continued expansions and more employees than ever, Coach needed to build a consolidated corporate intranet. Previously, employees could not search for documents, as Coach’s online employee systems were built from various URLs without a consolidated intranet and content was frequently duplicated due to updates, which lead to confusion and lost time. Coach also needed an improved way to reach and inform employees whose main connection to store information was through their smartphones and tablets, which were previously unreached by the company’s online capabilities. Coach wanted to provide its employees with the ability to find the information they needed for both serving customers and answering human resources questions, which led to the company deciding on a portal software. Coach chose Liferay because of its ability to consolidate information, reach employees on all devices, create a personalized dashboard, incorporate numerous features on a single platform and prepare the company for future digital transformation efforts. Using Liferay, Coach created Coachweb, a single sign-on employee intranet that has become a cornerstone for Coach’s digital ecosystem and the future of how they use technology to support their employees. Due to an unconsolidated database of content, Coach employees found difficulty in locating the correct version of a document they needed, leading to lost time spent searching online and confusion regarding out-of-date policies. Through the creation of Coachweb via Liferay, Coach was able to eliminate redundant, duplicate and incorrect information with an improved search functionality and content management system that vastly reduced the amount of time spent finding and updating needed documents from minutes to seconds. By providing employees around the world with a consolidated platform, team members can self-service their needs and find fast answers to their questions while meeting the needs of in-store customers. Coach’s employees in both stores and offices now use Liferay to find employee news, messages from the CEO, business strategies, earnings reports and HR information. In the age of smartphone usage, increasingly fewer store employees are connecting to enterprise portals through desktop computers. Coach sought to reach employees wherever they were through an easy-to-use intranet accessible via mobile devices, such as smartphones and tablets. In doing so, employees could quickly and easily find the information they need. Coach’s vision for creating a digital workplace was to make it as easy to use as possible, preventing frustration concerning interactions with work documentation. Through consolidation on Coachweb, employees do not need to move from site to site or remember numerous passwords to access important information, removing the burden on the employee. In addition, employees are now able to communicate more directly with headquarters, receiving information on products and providing feedback based on customer actions in stores. 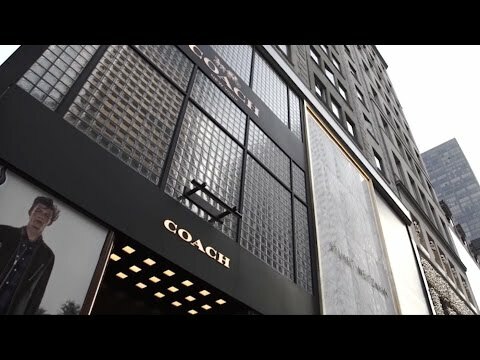 Following success in enterprise intranet implementation, Coach additionally built their VM Insights site to streamline and improve their visual merchandising in stores worldwide using Liferay. The global fashion company is looking to continue improving their backend system integration and further digital transformation in all aspects of their business. Coachweb has allowed the company to decentralize content management and avoid the time-consuming process of rebuilding their content by simply replicating it online when necessary. When combined with document consolidation, Coach has been able to be efficient in how they spend their time and money on internal processes. Coach is also planning on creating apps to meet employee needs and develop closer coordination between regions around the world based on their digital platform.